Before our usual training run yesterday, Coach Gary Smith held an hour long Chirunning lesson. 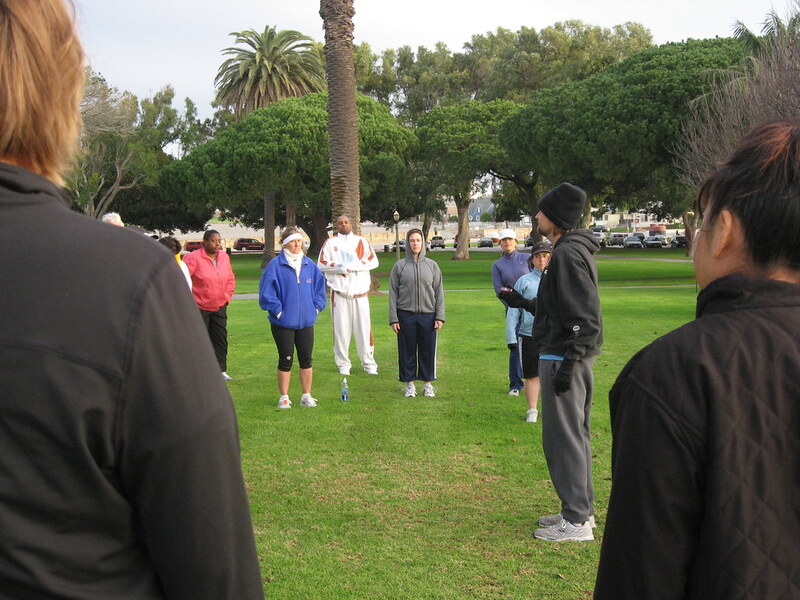 I've attended multiple Chirunning sessions but I enjoy participating in the classes because I always learn something new. After the Chirunning lesson, we broke up into the full and half marathon groups to start the run. Since I was diagnosed with runner's knee, I haven't been keeping up with my Surf City USA Half Marathon training schedule. I've been being really careful with my knee and after going a full week without any significant pain, I decided I was ready to push myself. Instead of joining the half marathoners, I went with the full marathon group. 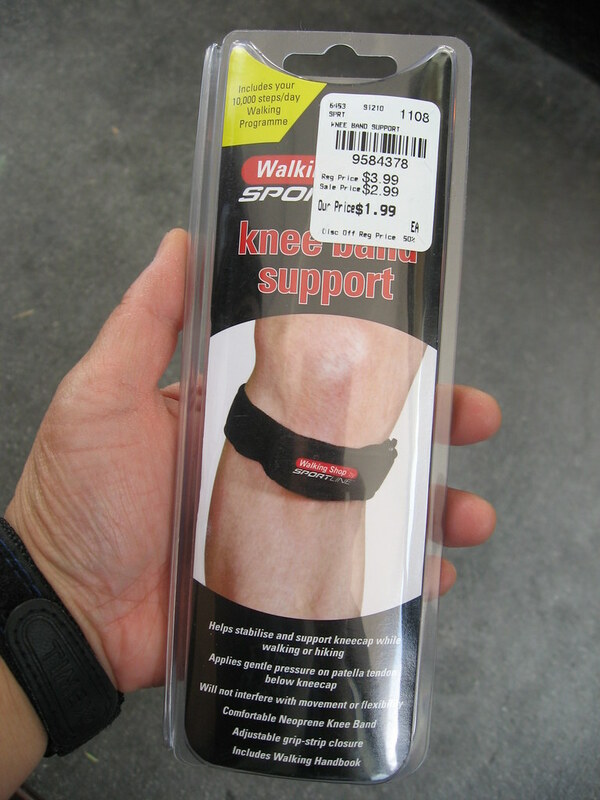 I had attached my patellar strap to my hydration belt in case my knee started to hurt while I was out on the run. We all set our watches to beep after 55 minutes to indicate the time to turn around and head back. 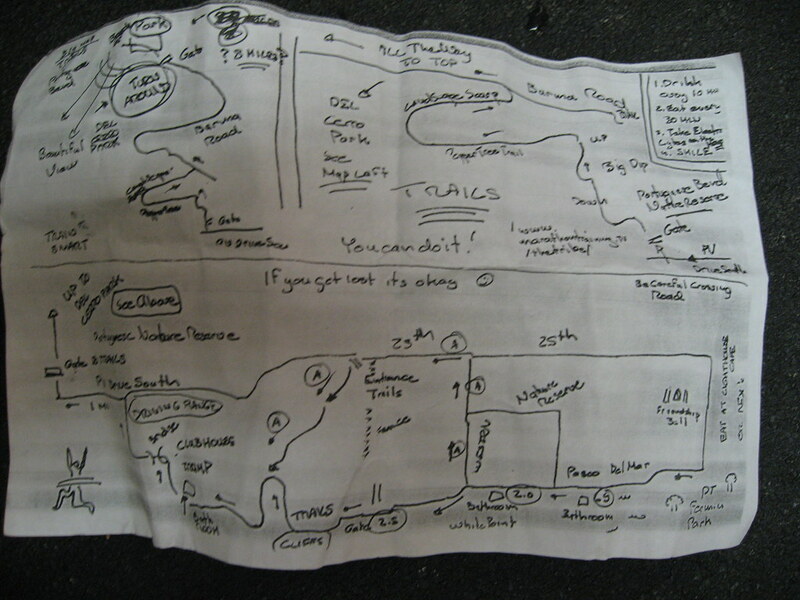 We were given small, handwritten maps to help guide us on our run. I folded the map up, stuck it in my pocket, started Mr. Green Garmin and headed out. My plan was to really take it easy but try to run the entire time. Coach Steve Mackel passed by and suggested I increase my lean. I was grateful for his advice and concentrated on doing that. I could feel myself getting faster. Since I'm a really slow runner, I started out with the group but soon I was running all by myself. I pulled the map out of my pocket and tried to figure out where I was supposed to be going but I got really confused. The note in the middle of the map, 'If you get lost it's okay ☺,' made me laugh. I was definitely lost. I kept running until I reached a dead end. About a block after my turnaround, I saw some runners returning from a side street so I headed over there as quickly as I could. As I neared the end of that street, I realized there was an unpaved path ahead. I took a deep breath, stepped onto the dirt, and continued running. The path headed towards the ocean and then curved to the right. 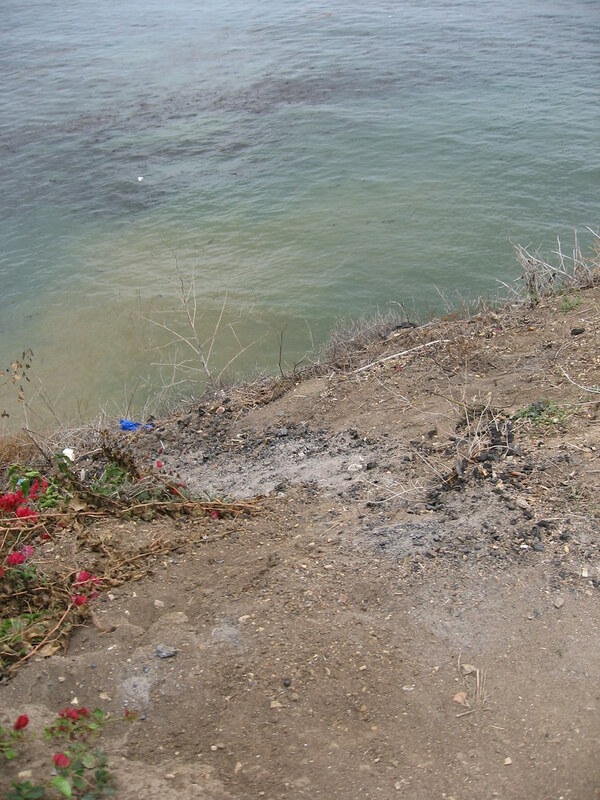 At this point, a cliff overlooking the ocean bordered the left side of the path. The view was breathtaking but the ground was uneven so I slowed down to a jog and concentrated on my footing. I wasn't able to run the entire time because some of the inclines were too steep for me and I was terrified of slipping on loose rocks. 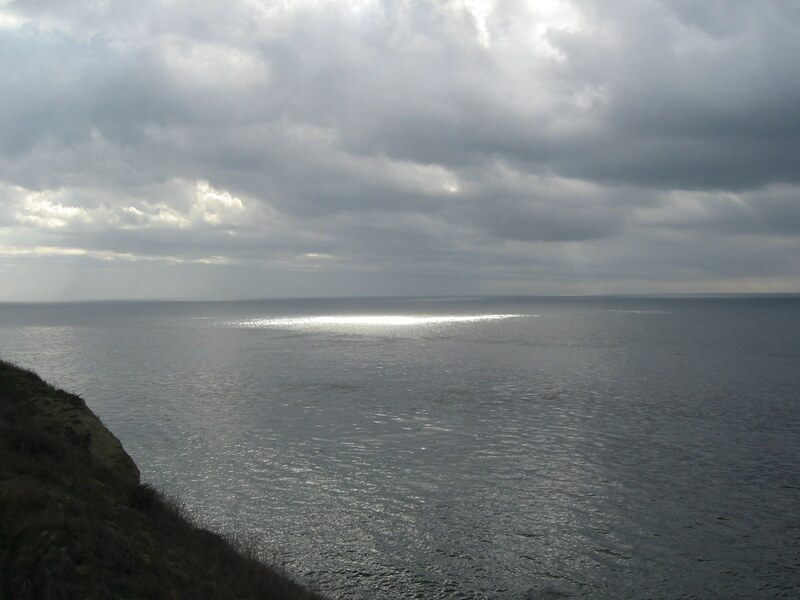 On the way back, the sun was shining through the clouds in a way that appeared almost divine. It was absolutely beautiful. Coach Gary ran by and asked me if I was going to take a picture and blog about it and I assured him I would. According to Mr. Green Garmin, I did 6.92 miles in 01:47:12. At the steepest part of the hill, I was going down at about a speed of one mile per hour!